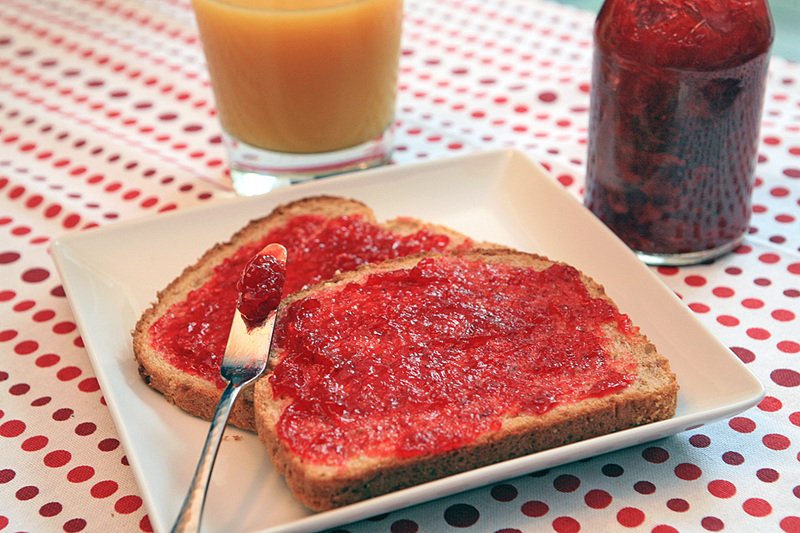 Once you’ve had homemade jam, there’s no going back. And why would you? Homemade jam is easy to make and tastes 100% better than the processed stuff from the store. It’s also a great way to use up any fruit that is almost ready for trash day. Plus, if you aren’t ready to use it, just freeze and it will be ready for you later. Let me remind you, jam isn’t just for toast. So give our homemade jam a try and be creative with its many potential uses! Add crushed strawberries to a medium pot. Add sugar and cornstarch, and bring to a boil, stirring constantly. Continue to cook until filling is thick and begins to become clear. Remove from heat. Pour into jam jars. Be careful! JARS WILL BE HOT! Refrigerate and allow to chill for 1 hour. Freeze until ready to use. How long does this typically last? Refrigerated, about 2 weeks. If you aren’t ready to use it, just freeze and it will be ready for you later.